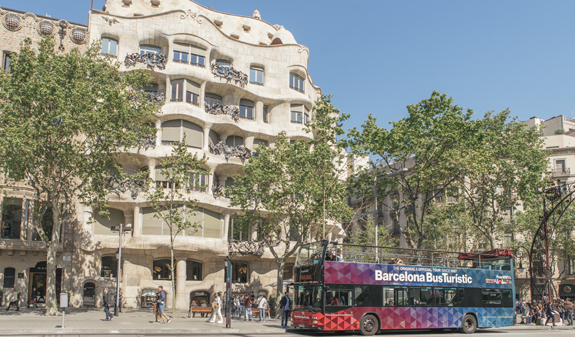 There are three different routes making it easy to plan your visit to Barcelona. 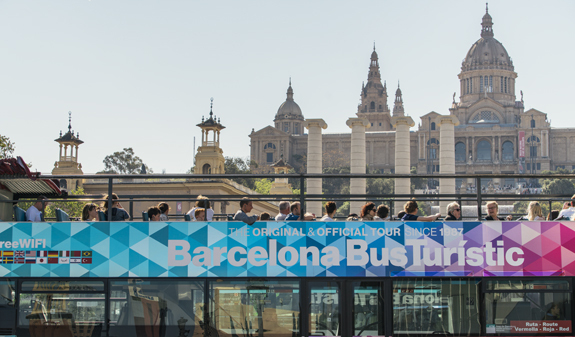 The Barcelona Bus Turístic will take you on these three different routes which have transfer points along the way, meaning you can change from one route to another with the same ticket. You can choose the red, blue or green route, depending on the places you are most interested in visiting. From plaça Catalunya to the MACBA, along Passeig de Gràcia, to the Sagrada Família, the village of Gracia, Park Güell, Tibidabo, Pedralbes and the Futbol Club Barcelona stadium. 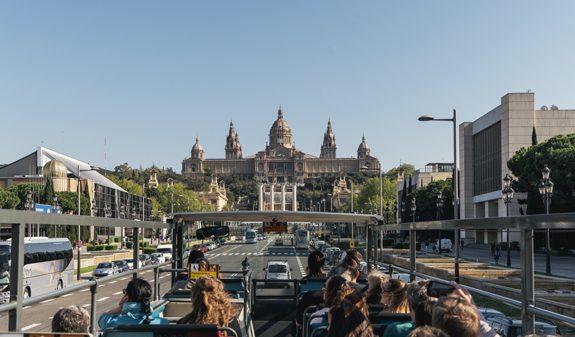 Or to the Parc de la Ciutadella, the Diagonal, Sants Station, Montjuïc and the old harbour, Port Vell. 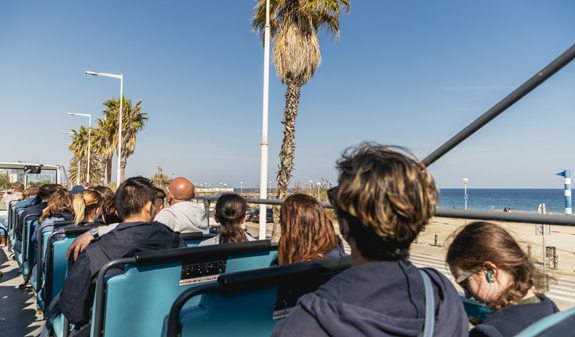 Or how about a route from the Olympic Harbour, through Poblenou to the Forum district to enjoy the best panoramic views of Barcelona's beaches? Look at the buildings, monuments and tourist sights while you listen to the comprehensive audioguide in 18 languages that will tell you everything you need to know to enjoy your visit. And don't forget your discount voucher booklet, which offers savings of up to 250€ on tickets, and at leisure attractions, bars and restaurants. 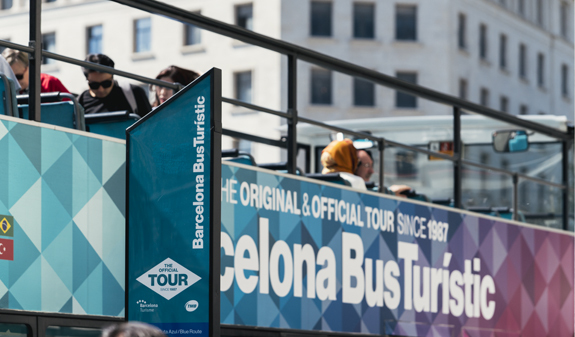 Turisme de Barcelona information officers on board. Informative guide in three languages describing every stop. Audioguide in 18 languages: English, American, Catalan, Spanish, French, German, Italian, Japanese, Chinese, Portuguese, Brazilian, Russian, Dutch, Norwegian, Swedish, Arabic, Hebrew and Turkish. Free Wi-Fi, with an automatic connection. QR codes at the stops, with information about the city. Times: the blue and red routes run throughout the year and the green route runs from 23rd March to 4th November. on board the Barcelona Bus Turístic. pl. 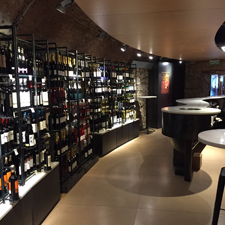 Catalunya, 17-basement: daily from 8.30am to 9pm. 1/1: from 10am to 2.30pm. 6/1 and 26/12: from 8.30am to 2.30pm. Closed: 25/12. 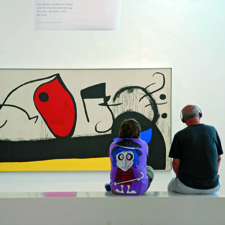 City Hall, Ciutat, 2: Monday to Friday, 8.30am to 8pm, Saturday, Sunday and public holidays, 9am to 3pm. 6/1 and 26/12: from 9am to 2.30pm. Closed: 1/1 and 25/12. Barcelona Airport, Terminals T1 and T2: daily from to 8.30pm. 6/1 and 26/12: from 8.30am to 2.30pm. Closed: 1/1 and 25/12. Sants Station, pl. Països Catalans s/n: Monday to Friday from 8.30am to 8.30pm. 6/1 and 26/12: from 8.30am to 2.30pm. Closed: 1/1 and 25/12. 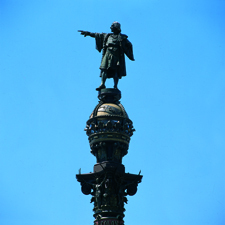 Columbus Monument, pl. Portal de la Pau, s/n: daily from to 8.30pm. 6/1 and 26/12: from 8.30am to 2.30pm. Closed: 1/1 and 25/12. Sagrada Familia: daily from 8.30am to 7.30pm. 6/1 and 26/12: from 8.30am to 2.30pm. Closed: 1/1 and 25/12. Departure point: blue and red routes (northbound and southbound) from pl. Catalunya and green route (Forum) from the Olympic Marina. Tickets are valid for calendar days (not 24-hour periods). Frequency: every 5 to 25 minutes, depending on the season. Service adapted for wheelchair users and hearing-impaired visitors. Smartphone app with information about the service and the city (Google Play).